Like helicopters, helicopter parents hover incessantly over their children’s lives, supervising and regulating all their activities, especially their education. A University of Georgia professor correctly described the advent of the cell phone as a major contributing factor to this flagrant over-parenting, calling it "the world's longest umbilical cord". The psychological damage done by this well-intentioned behavior is beyond dispute. A sampling of the evidence follows. “Students are afraid to fail; they do not take risks; they need to be certain about things. For many of them, failure is seen as catastrophic and unacceptable. External measures of success are more important than learning and autonomous development. “Faculty, particularly young faculty members, feel pressured to accede to student wishes lest they get low teacher ratings from their students. Students email about trivial things and expect prompt replies. “Failure and struggle need to be normalized. Students are very uncomfortable in not being right. They want to re-do papers to undo their earlier mistakes. We have to normalize being wrong and learning from one’s errors. “Faculty members, individually and as a group, are conflicted about how much ‘handholding’ they should be doing. “Among the consequences, I have argued, are well-documented increases in anxiety and depression, and decreases in the sense of control of their own lives. We have raised a generation of young people who have not been given the opportunity to learn how to solve their own problems. They have not been given the opportunity to get into trouble and find their own way out, to experience failure and realize they can survive it, to be called bad names by others and learn how to respond without adult intervention. So now, here’s what we have: Young people,18 years and older, going to college still unable or unwilling to take responsibility for themselves, still feeling that if a problem arises they need an adult to solve it……..
“Researcher Holly Schiffrin from the University of Mary Washington in Virginia found so-called helicopter parenting negatively affected college students by undermining their need to feel autonomous and competent. Her study found students with over-controlling parents were more likely to be depressed and less satisfied with their lives while the number of hyper-parents was increasing with economic fears fuelling concerns over youngsters’ chances of success. “The real motivations of parents are probably multiple. Without question, they are anxious about the future success of their kids and think that clearing every path for them, including taking over tasks, will smooth the way to achievement. Many parents want to continue the kinds of connection they had when their kids were younger; it feeds the illusion that the adults aren't aging after all, and it keeps the adults from having to carve new roles for their own post-parenting lives. There are studies showing that some parents are especially needy emotionally, expecting their children to supply the closeness missing from their marriages or their own social life. However you slice it, parents are putting their own emotional needs ahead of the developmental needs of their children……. 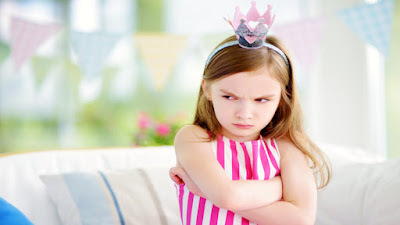 “Among their findings are that adult children who are overparented tend to have lower self-efficacy and an exaggerated sense of entitlement, and that moms and dads who overparent are likely to be less satisfied with family communication and connection. ‘On the one hand, I think these are all well-intentioned parents who are invested in their children's lives,’ said University of Arizona alumnus and collaborator Michelle Givertz, now an assistant professor for communication studies at California State University, Chico. "'But it is stunting the growth of these young people and creating other problems for them, in terms of depression, anxiety and negative coping behaviors,’ said Givertz, who worked with Segrin along with collaborators Amy Bauer of the University of Arizona communication department; Neil Montgomery of Keene State College; Alesia Woszidlo of the University of Kansas; and Melissa Taylor Murphy of Bloomsburg University. “So, what did the team find with regard to why people overparent? The team found that overparenting is associated with lower-quality communication within the family. Also, those who overparent tended to have lower family satisfaction. “What does this mean for adult children? The team found that children raised by those who overparent tend to have a lower rate of coping skills. Adult children also tend to have lower self-efficacy and an exaggerated sense of entitlement. "'This is also a pretty significant concern with what happens with this type of parenting. Narcissism and entitlement are bedfellows; they just go hand in hand,’ Segrin said. ‘These parents are generating a child who really sees him or herself as the center of the universe. Being catered to becomes a norm for these children,’ he added. ‘They are raising kids with low self-efficacy and high entitlement, which is a near lethal combination of personality traits.’"